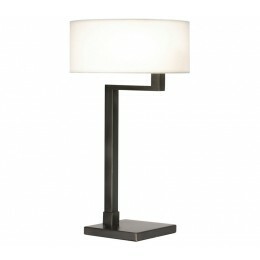 Quadratto Swing Table Lamp contrasts its heavy vertical stem with the thin profile of the horizontal arm to create a bold structure of visual tension. It supports a wide drum shade that swivels outward when light is needed over a reading area, or swings back into compact containment for a wash of ambient light. 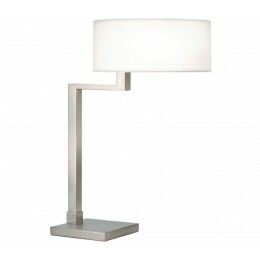 The Sonneman 6080.13 Quadratto collection Table Lamps in Satin Nickel use Incandescent light output and bring Modern style. This item is 26"H x 14"L x 13"D. The wattage is 120. The Sonneman 6080.13 requires 2 bulbs (not included). 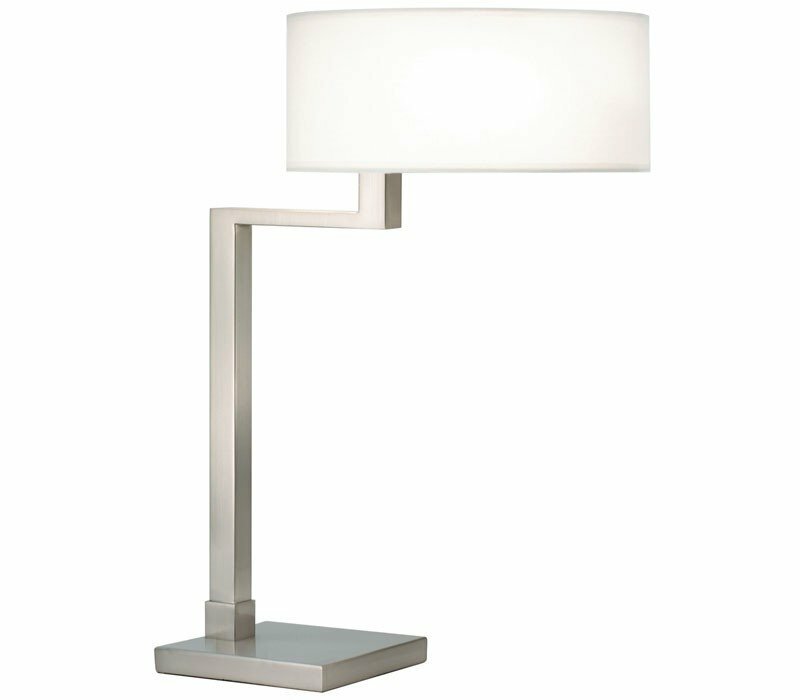 Additional Information: Shade-Off-White Linen Shade; Control-3-Way Pull Chain Switch.